BK Consultants, in partnership with Ecole Nationale des Travaux Publics de l'Etat (ENTPE), is going to develop over 20 months a training programme aimed at the personnel of the Algerian Ministry of Public Works. This training comes within the scope of the Programme d'Appui au Management de l'Economie (AMECO), the objective of which is the strengthening of the institutional system of economic information and analysis in order to facilitate the decision making and improve the capacity to manager large programmes. 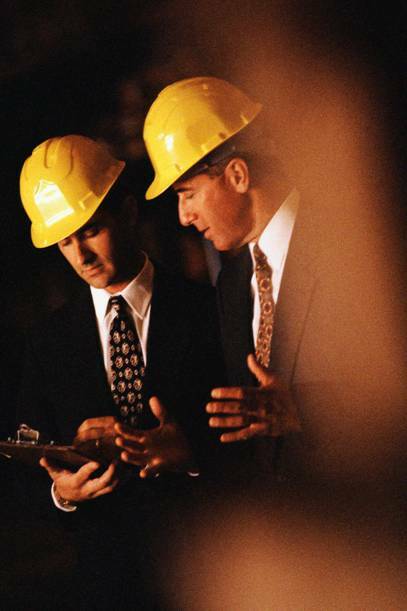 BK Consultants will design with the ENTPE trainers-engineers specific training modules (contracting organisation and management, project management, building economics, personnel management and communication) which will be delivered to the managerial staff of the Algerial Ministry of Public Works and other public bodies under its control. The training programme also includes three study tours in Europe for higher management staff, organised by line of works : roads, maritime infrastructures, airport infrastructures. Beyond the aspects of experience and knowledge transfer BK Consultants and ENTPE will take particular care to operate a true educational know-how transfer, creating future in-house trainers or training officers.